It goes without saying that motorsport isn’t without its fair share of hair-raising incidents, and yesterday’s 6 Hours of Nürburgring race was certainly no exception. 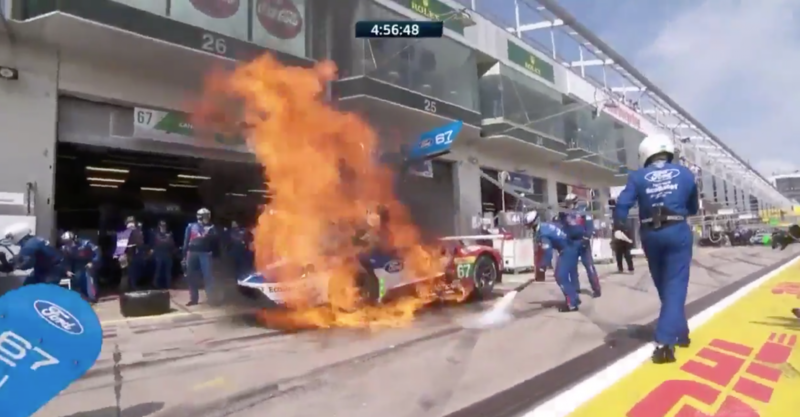 British racing driver Andy Priaulx found himself to be a bit hot under the collar after his No 67 Ford GT endurance racer burst into flames during a refuelling stop. 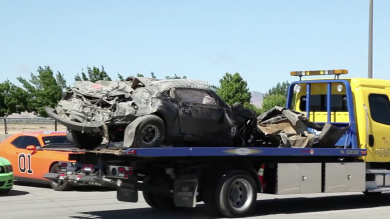 Fuel was spilled on to the GT’s piping hot exhaust, causing it to immediately ignite in dramatic fashion. As the pit crew rushed to put the fire out with extinguishers, Priaulx can be seen throwing the car door open and jumping out through the flames. Pit crew and firefighters quickly manage to extinguish the blaze, and the car had to sit in the garage for 23 minutes while it was fixed and cleaned up before being sent back out on the track. Ford later confirmed in a tweet that the fire was caused by a problem with a fuel valve, and – fortunately – that everyone involved was all right. To really rub salt in the wound, though, the No 67 car was in second place when it entered the pits. It later finished 29th out of 33. 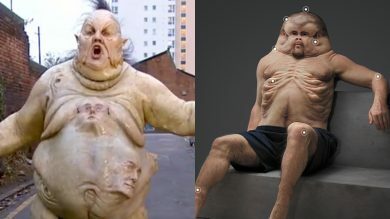 Meet Crash-Proof Graham… Or Is It Really The Abzorbaloff?